Mensusa https://www.mensusa.com/articles/men-suits-online-shopping-for-lazy-blokes.html Men Suits Online- Shopping For Lazy Blokes Men suits online is the new craze. 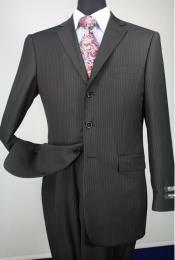 With several types of suits available, this two-piece mens clothing has taken on various forms. Gone are the days when you had to scourge through store after store of myriad collections of fabrics and colors just to find a suit that was flattering to your physique and made you feel like a Greek god. Now, with the ease of innumerable sites to shop from, finding your perfect suit need not be such a dreaded chore! Click, and you got it! Men suits online makes the quest so much easier. Hitting 'enter' on www.mensusa.com will take you to many collections of very attractive offers. The only boring part of shopping for men's suits online, now, is taking that measuring tape out and getting your vital statistics right. Actually, this is made even easier if you took the help of a friend. Done? Great! Now lean back, throw some cool shades on, sip on your cold beverage and browse through the plethora of well-cut ensembles and get ready to pamper yourself. As seemingly obvious as this is, it is nevertheless never bad to remind yourself that it is always good to have a look around before checking out with your e-cart. Compare across various sites for actual price versus discounted price, bundled offers, seasonal sales and of course, stock clearance sales. You surely don't want to end up with a coat that hangs two sizes too big from your shoulders or in a pair of pants that would seem like a glorious tribute to the prancing Bollywood lead male dancers of the 70's! While it is common for sites to follow the same tool or measuring charts, it is advisable to always check for any discrepancy in the size charts across different websites. Also, use a non-stretch measuring tape as this can cause you to make minimal but very obvious errors. Know what cuts and colors suit you, but do not be afraid to experiment. You may be missing out on something fantastic if you try to stick to safer, conventional styles only. Rome wasn't built in a day, and you certainly have spent eons building up your image! So why not dabble a little, check for a new pattern here, slip on a different hue there? You won't know till you try! Shopping for men suits online need not cause such trepidation any more. Still skeptical? That wasn't so bad now, was it? Although we do need to throw in a word of caution- once you get used to the ease and comfort of online shopping, you are very likely to get hooked! Enjoy yourself- you have earned it!